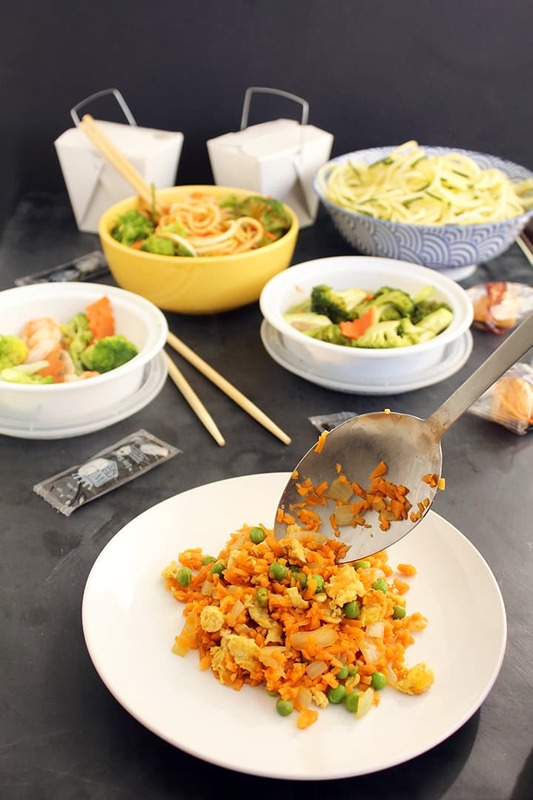 Have you ever heard of that expression, “Takeout Fakeout?” When I first started reading food blogs (ya know, at about 3 months old), I remember seeing a blogger recreate a classic takeout food for the home cook. My interest was peaked (who doesn’t love takeout? ), but I was disappointed when I saw the ingredient list: butter, rice, and sugar! And yes, it looked phenomenal – but sure didn’t make you feel phenomenal. 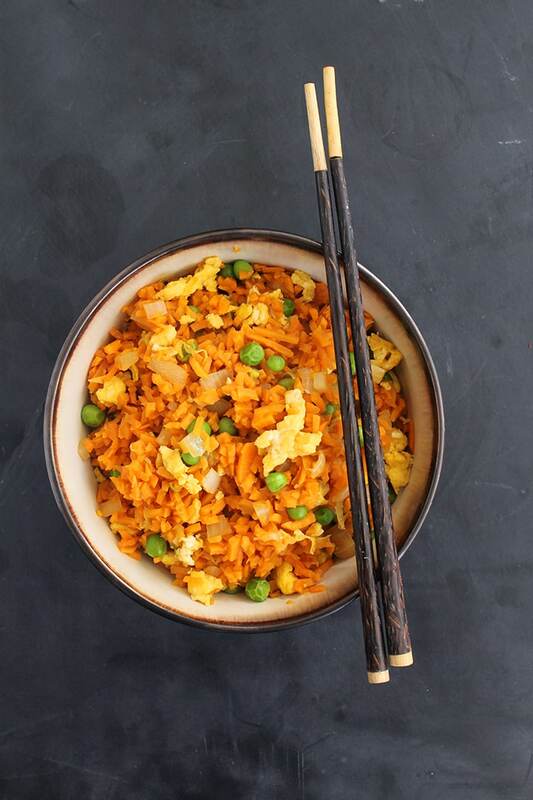 Today, I’ve got a real fakeout for you: riceless fried rice that’s good for you and tastes JUST like the real thing. Now that’s an Inspiralized fakeout. Well, it’s riceless in the fact that there’s no grain rice. 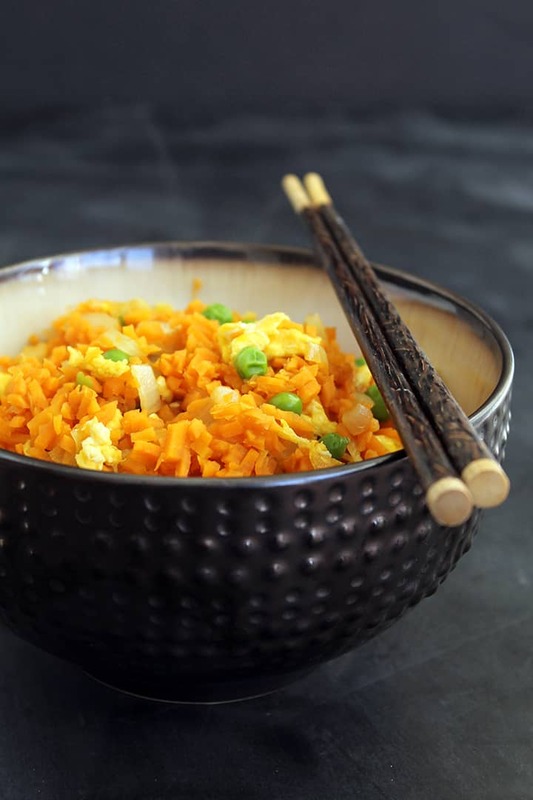 The rice in this fried rice dish is made from sweet potato noodles! As you learned in this video, it takes an additional couple of minutes (if that!) 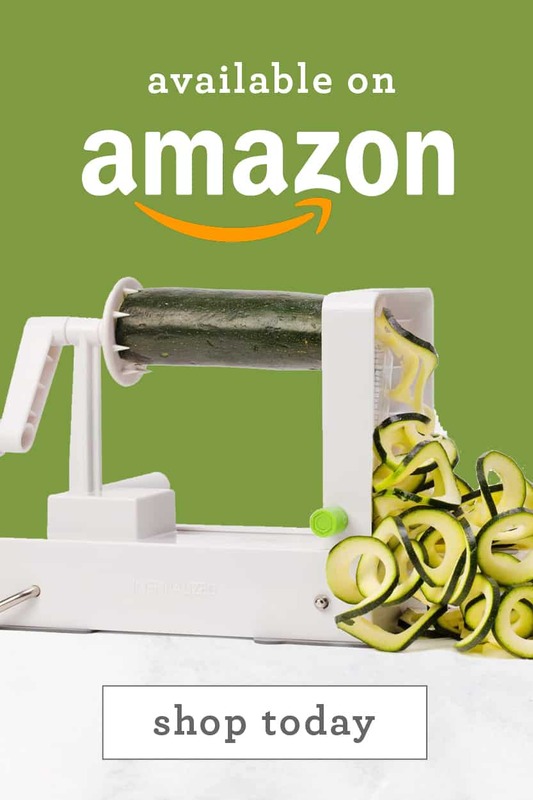 to turn your spiralized veggies into rice. Although the jury’s still out, I think that sweet potato rice tastes the most like real rice. Lu and I got back from the gym last night and I practically had to fight him for a portion. Normally, I usually give in, but this fried rice is so tasty, I couldn’t concede this time. It’s filling without the post-feast bloat, as I like to call it. 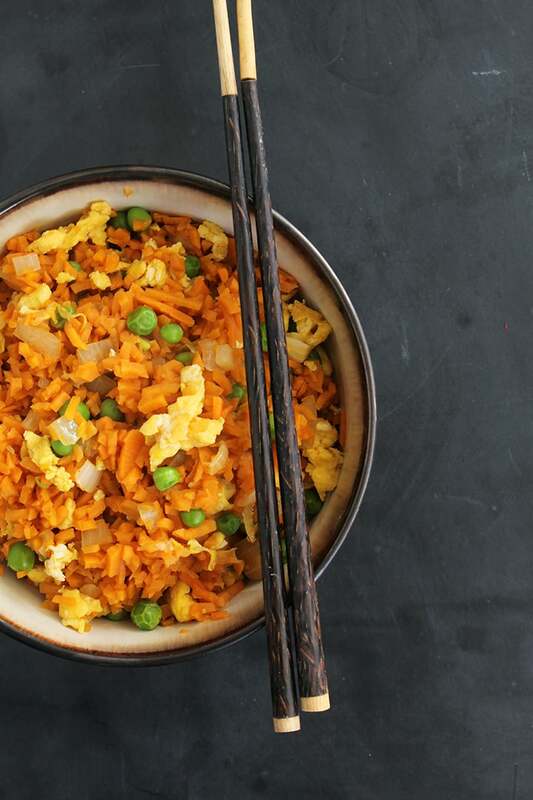 Plus, the ingredients are simple: soy sauce, sweet potato, green peas, eggs, onions, vegetable broth and oil. If that’s not clean eating at its finest, I don’t know what is! 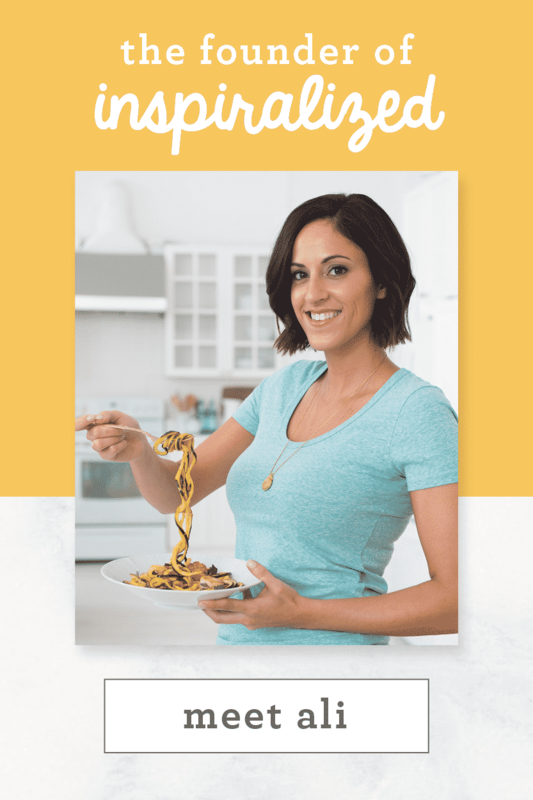 You might notice that this post is titled “Part 1, Takeout Fakeout.” That’s because tomorrow, there will be a “Part 2” where I share my tips on how to Inspiralize your takeout orders! 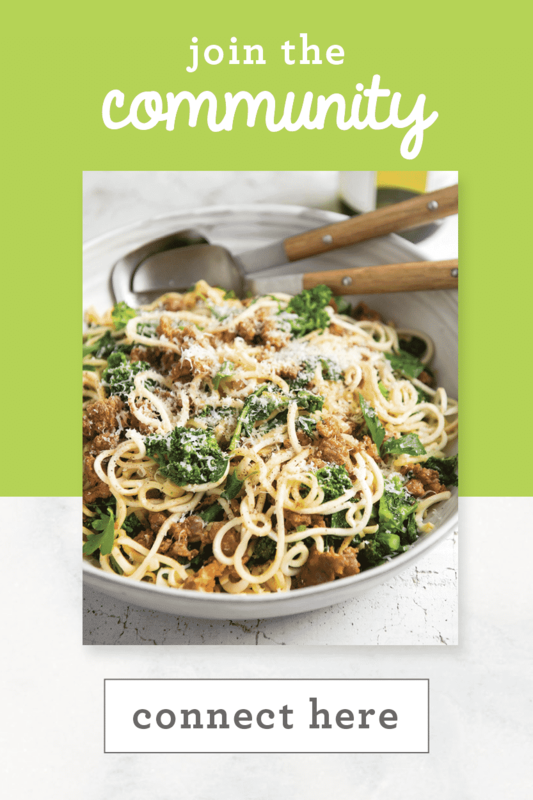 With my tricks, you’ll never feel guilty about ordering takeout again – whether you’re at work with coworkers ordering in, home on a Friday night or eating takeout leftovers. Dieting shouldn’t mean giving up and sacrificing all the good stuff. You shouldn’t have to only “have a bite” – you can have a whole bowl! Don’t believe me? Check back here tomorrow for my updates. Vegetarian Sweet Potato "Fried Rice"
Place your sweet potato noodles in a food processor and pulse until made into rice-like "bits." Set aside. In a large skillet, place in your oil. Then, add in the onions. Let cook for 2 minutes and then add in the sweet potato rice. Season with salt and pepper and stir to combine. Stirring frequently, let cook for 1 minute. Then, add in the vegetable broth and stir. Let reduce fully. While the rice is reducing, place a medium skillet over medium heat and pour in eggs. Scramble and set aside. Once the rice has reduced, taste. If still crunchy, stir and let cook for another 2 minutes. When done, fold in the egg and peas. Add in the soy sauce and toss everything to combine. Once combined, divide into bowls and enjoy! this looks seriously amazing!! must try!! 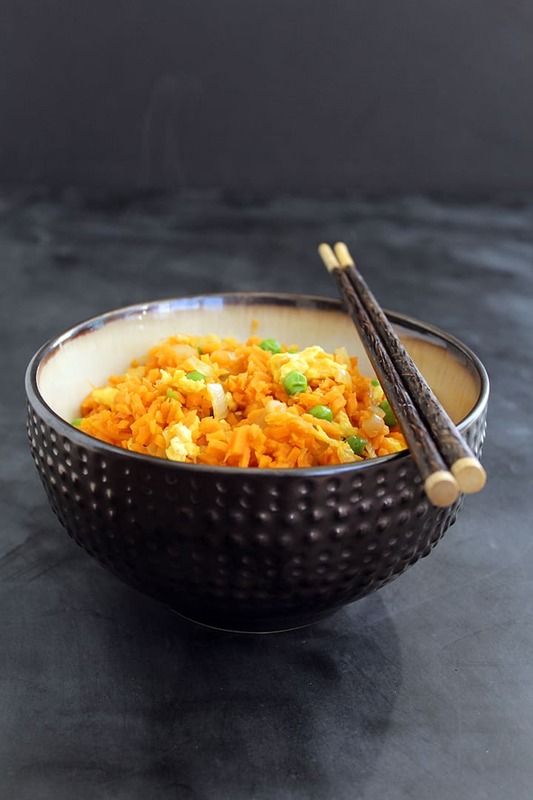 I don't like fried rice, but I am going to make this! And guess who has an already spiraled sweet potato in the fridge? Yup, spiraled one too many for my spiralized grilled ham and cheese 'sandwich'! Woohoo! Hope you enjoy it! That looks so good, but I think it would be even better with white sweet potatoes. wow! this looks delicious! 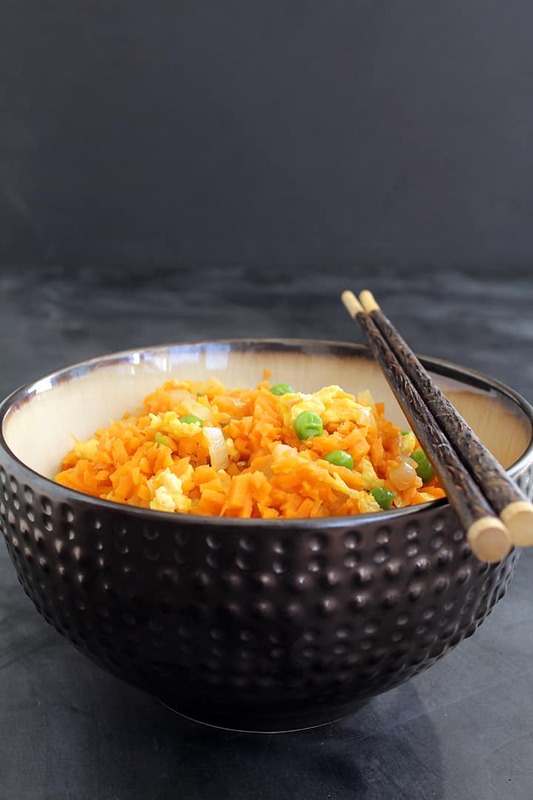 I never thought about using sweet potato as "fried rice". Who needs REAL rice when there are sweet potatoes to be eaten! This takeout fakeout looks way better than any takeout I've ever had! Previously did this with cauliflower "rice", which was good but sweet potato rice is much tastier! I added shrimp and a little of my favorite gluten-free stir fry sauce and it was perfect. Thanks for the great suggestion. oh ali, yumm! made my first batch last night, hard to put 2nd half in fridge. this morning i'm thinkin' it could very well be bfast : ) loving our new community, thank you for all your hard work : ) and congrats on the ginormous response!! well done. Trish - thanks so much, glad you liked the recipe! This was one of my favorite meals of all time. DELICIOUS and guilt-free. Just my style! 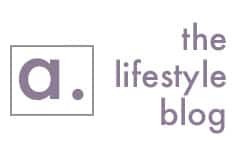 I am LOVING your site! 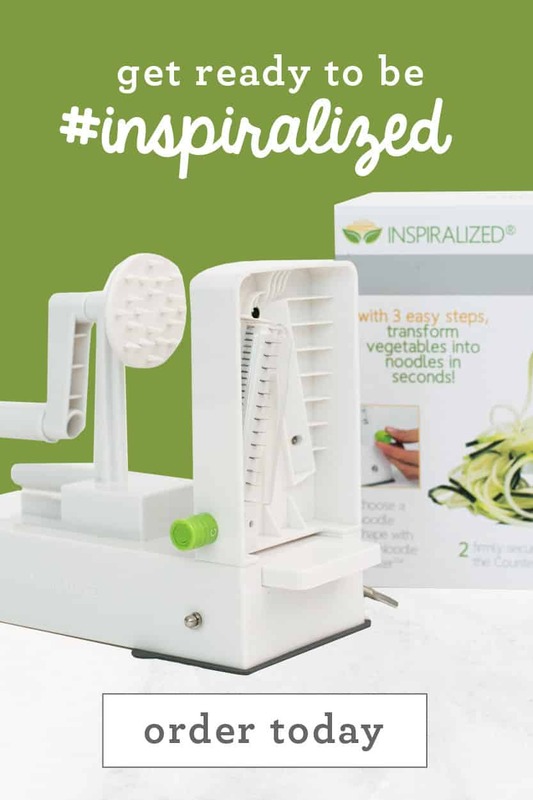 It's given me so many idea for my spiralizer! I tried this tonight and it was delicious! Thanks for sharing the recipe. Just like left over take out. I ate it for breakfast. Cold and right out of the container. Sooo good. I just made this today, and it was a hit! Even with my husband. I'm intolerant to soy & eggs, so it lacked the Asian flavor that I miss after I've gone gluten-free. I used coconut aminos in place of soy sauce. And, to some Asian flair, I added toasted sesame seeds, sesame oil, julienned scallions, and a bit of sriracha chile sauce. It might even taste good with a little hit of fish sauce since I can't get the saltiness from soy sauce. Thanks for this idea. I don't do soy or eggs either. I do have some "Asian" luck with toasted sesame oil and ginger, as well as garlic. I just got my spiralizer a few days ago, and I made this tonight. It was delicious! I used chicken broth and added chicken breast because I wanted some extra protein. My husband loved it too. Thanks so much for the recipe! We made this for dinner tonight--it was delicious! When I said, "it is healthier than fried rice," my husband responded, "it tastes better than fried rice." I made this last night and it was great! I added chicken when I was cooking the onions and I thought it turned out well. Just made it, absolutely amazing! So easy! Is there any way you can go back on old recipes and add the nutrition facts? It's so convenient when those are listed!! Wow! First recipe I've made from your book - received today - and it's a winner. Thank you so much for writing it! Just made this recipe last night for dinner. Added chicken to it and it was FANTASTIC!! I don't get that excited about many recipes but this one was amazing and I just had to comment and agree with all those previous posts. Thank you for a definite keeper!! 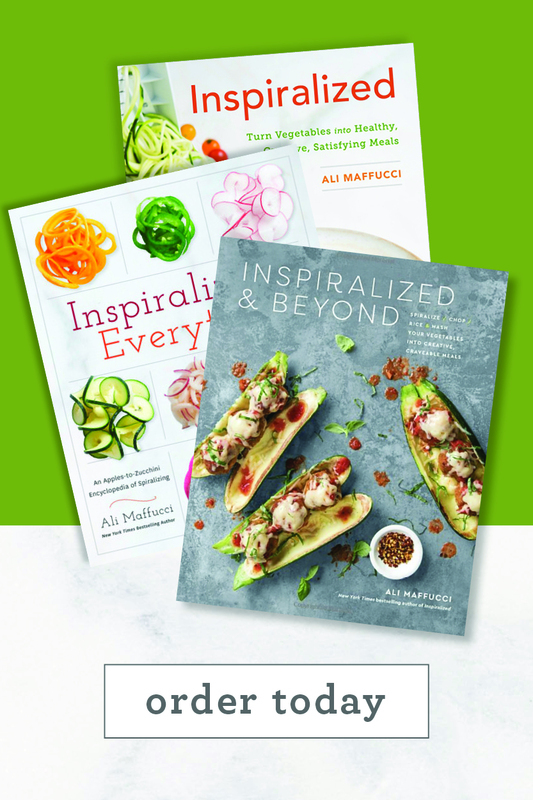 Hi Everyone, I'm new to all this...just came across the website yesterday...already ordered my Inspiralizer and the cookbook. I'm very excited! 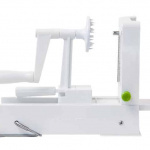 My question is, how far ahead can you spiralize and how does it come out if you freeze it? Thanks! Finally tried this Ali! Big hit with the kids- especially Holden. Note to mom's: this recipe is perfect for infants especially if you overcook it a bit! (I did not do the soy sauce, though. Used coconut aminos instead) We'll definitely do this again. Easier then I expected as well. Fabulous. Love this fried rice Reciepe. So satisfying and healthy. Sweet potatoes are too starchy carb for my health so I would sub carrots in the place of sweet potatoes. But that's just me. I eat low carb spiralized. You need to come over to Ghana for live seminars with my organization. I just bumped into your information on food and nutrition, and the "fake rice" is superb. I'll try it here, if great, will spread it to schools for their feeding program. Best, Sam. Cape Coast, Ghana. Just made this today! Absolutely love it and delicious! I never even tried sweet potato before, I would always skip it at meals. 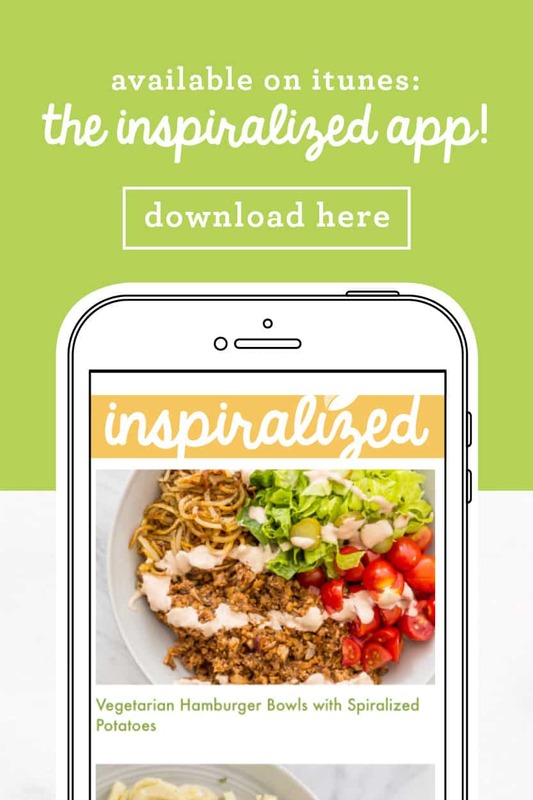 I love inspiralized, it has broaden my horizon! You're so welcome! We're happy you're loving them. I made this recipe last night with a few additions and deletions. I loved it! Thank you! What stove setting/temperature does the onion/rice get cooked at?